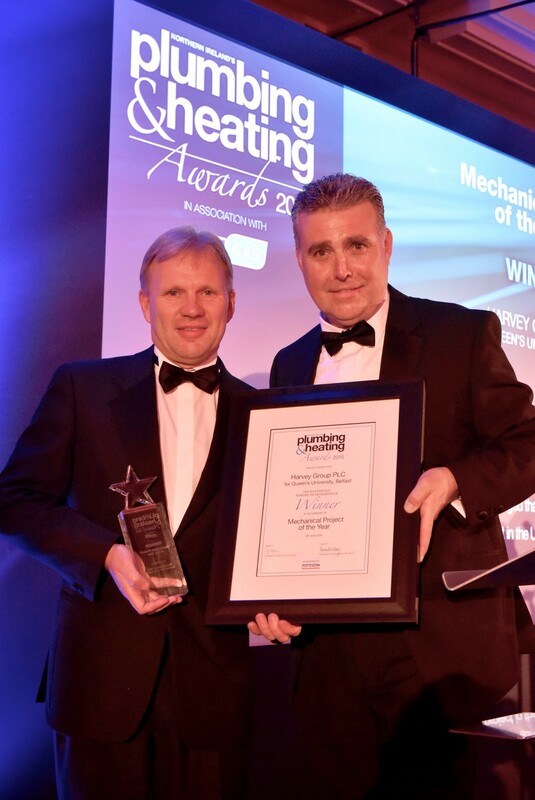 Brian Harvey & Harvey Group Win Top Industry Award’s! We are delighted to announce that our very own Brian Harvey, Managing Director & founder of Harvey Group PLC was awarded the Overall Achievement Award in Northern Ireland's Plumbing & Heating Awards 2016. 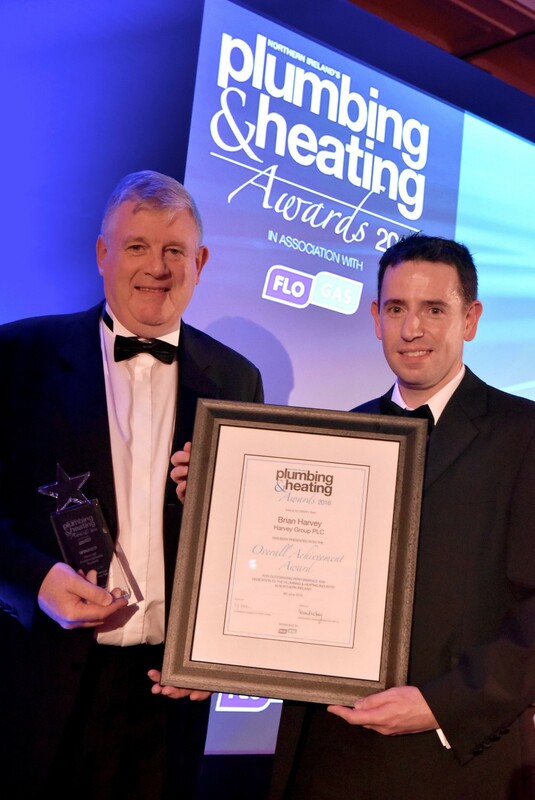 Northern Ireland's Plumbing & Heating Awards celebrate excellence in the plumbing and heating industry and showcase the very best work that is being carried out by the industry throughout the region. The panel of prominent judges deemed Brian Harvey the worthy recipient of the Overall Achievement Award picking up the Award at a ceremony held at The Hilton Hotel in Belfast. 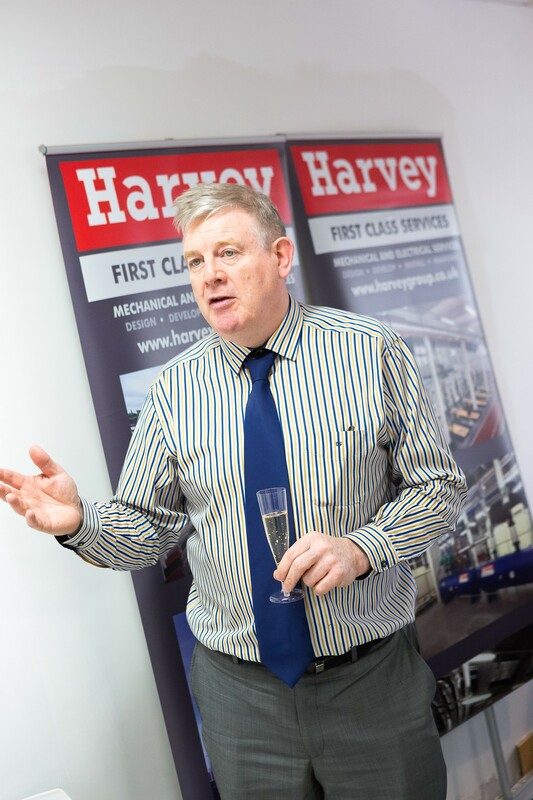 “Brian Harvey founded Harvey Heating Limited as it was then known in 1978. From humble beginnings, Ballyclare s Brian Harvey has been the driving force behind a company that has grown to be one of the major players in the building services industry in Northern Ireland and is now also operating in GB. In the early days, Brian was always there to help. Those who worked with Harvey Group from the beginning can recall occasions when Brian worked through the night to get a job completed and, if he couldn't get the spanners out to help, he was always good for a fish supper. On the 4th April 1985, Harvey Heating changed its name to Harvey Group PLC, reflecting the ability of the company to provide a one stop M&E Installation and Maintenance Facility. Quality installations and customer satisfaction have always been Brian's passion, and to help realise these objectives across the company, he has always been at the forefront of developing the systems and procedures to allow the company to obtain third party accreditation for our core activities. As a result, Harvey Group gained Independent British Standard certified quality, health & safety and environmental management systems which have been in place since 1993 with Investors in People following in 2000. This reflects Brian's commitment to our greatest asset our workforce and a culture of continual development, training and excellence in all our staff. In March 2016, Harvey Group became the first UK M&E company to obtain an independent third party accreditation for BIM modelling through the BSI. Harvey Group has been delivering M&E services for over 35 years. The company enjoys a high profile and solid reputation for delivering projects on budget, safely, to a first-class finish and commissioned throughout and this is in no small part down to the vision and dedication of Brian Harvey. Brian Harvey accepted his award as recognition for all at Harvey Group over the 38 years who have contributed in many many ways to our success. "M&E is a team pursuit and this award is for our team. It recognises that hard work, innovation and skill in the past encourages us to continue into the future"
If this was not good enough, we are overwhelmed with being awarded a second award at the ceremony for Commercial Mechanical Project of the Year Award for Queens University Belfast Wellcome Wolfson Institute, the 6th Award for the Project. “Harvey Group's entry stood out as a complex project that was carried out to a very high standard. The judges acknowledged that the project is the first completed Level 2 BIM project in NI. This was outstanding work”. Wellcome Wolfson Centre is a state of the art, purpose-built healthcare related building, located on the Health Sciences Campus, Belfast City Hospital Site. It specialises in scientific research to develop cures for eye disease, diabetes and the development of a global programme in understanding the genetics of complex chronic diseases. For more information on WWIEM, please click Here. 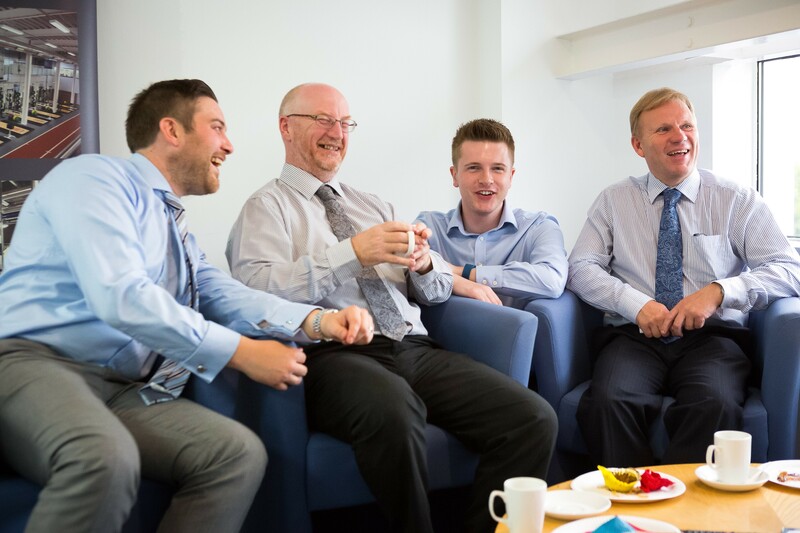 We could not pass on the opportunity to celebrate winning these prestigious awards, so on Monday 13th June 2016 we organised a company coffee morning at our Head Office to mark the occasion. A BIG thank you to all our Staff for all the hard work, winning these awards would not be possible without Team Work. The Plumbing & Heating awards were held at the Hilton Hotel on Thursday 9th June 2016. 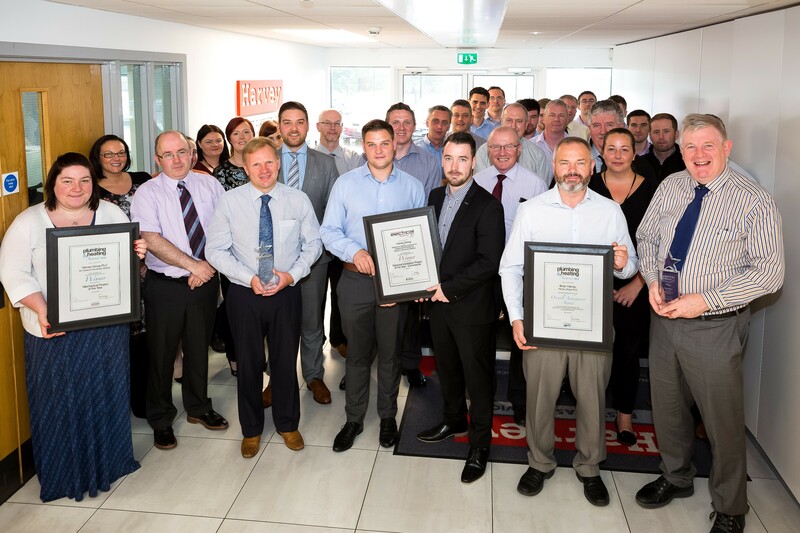 A total of 19 awards were presented in high-profile Northern Ireland's Plumbing & Heating Awards which represent the pinnacle of achievement for the industry. Over 300 guests attended the prestigious ceremony hosted by broadcaster Lynda Bryans.